This is listed on my Smugmug page a one of my most interesting photos. So I am posting it here. This is Lake Minocqua around 6 AM on a very still and cold morning just before the snows started to fall. 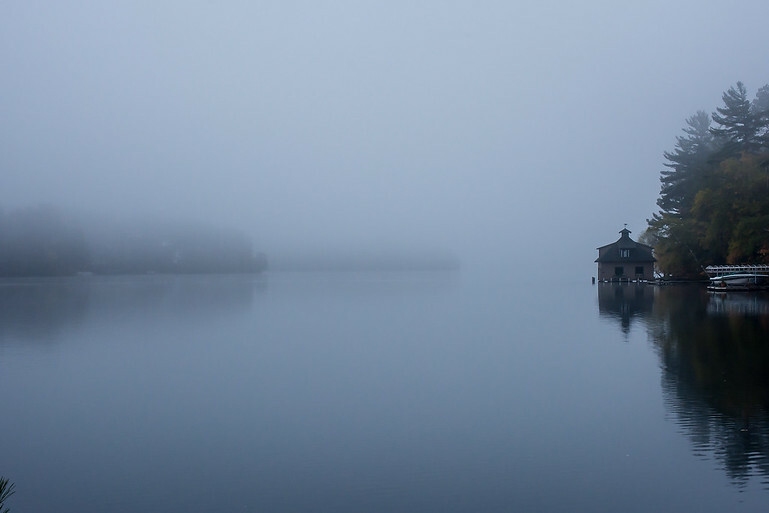 In the mist is one of the interesting old boathouses on the lake.